West Houston Lions partner with Houston SaberCats to Form D1 side. 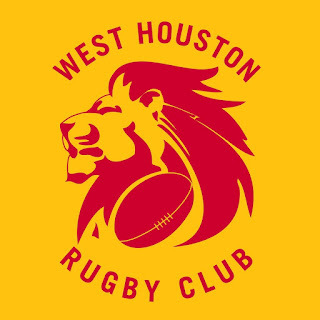 The West Houston Lions petitioned The Texas Rugby Union and the Red River Rugby Conference for voluntary promotion to Red River Rugby Division 1. The West Houston Lions run a massive youth program and have partnered with the Houston SaberCats to host clinics and are a host site for the rotating SaberCats academy. Justin Fitzpatrick stated in the Red River Rugby Conference minutes that a portion of his side would be assigned to the West Houston Lions to help form part of their Division 1 side. This demonstrates increased partnership with local clubs, but also is the continued build out of the SaberCats Academy. At some point every side in Major League Rugby will have a Senior Academy. These young players as I understand it will be mostly U23 for West Houston. The Lions are actively recruiting to help build out the rest of the squad. Currently the SaberCats have a training squad of 32, 10-12 players would be assigned to West Houston. Of the developmental SaberCats players that are not active for the Match day 23 would be released to play each week for West Houston's Red River Rugby Conference schedule. The current eligibility rules for USA Rugby state that once you've played a minimum number of matches for a Senior side in a contiguous club you are no longer eligible. Currently that has not extended to Major League Rugby as the competition, although on track to be, remains unsanctioned. The qualifying number has been five matches. So if a Developmental/Senior Academy Player sees 5 matches for the SaberCats it is likely they will no longer be eligible to play for the Lions. This partnership will drive up the level of competition locally by having the professionals practice alongside their amateur teammates and will provide a local outlet that feeds directly into Houston's Major League Rugby side. In addition to West Houston Lions promotion to D1 there were several other items on the docket for TRU and RRRC. Little Rock, OKC, and Tulsa Rugby Clubs have been approved to join the Frontier Competitive Region from RRRC. Austin Huns Appeal to remain in D1 is approved. San Antonio RFC has been promoted to Division 1.